Basic and Premium Packages: 2 business day turn around, Luxury Package: 3 business day turn around. If additional photos are purchased, an extra business day of editing may be required. There will be a $100 Rush Fee for 24 hour turn around requests on Basic & Premium Packages. We are unable to offer Rush Service on Luxury Package Photoshoots. We capture landscape views, city views, and the entire property itself. Hosted for 12 months unless renewed. You will receive a link to view as well an embed code. With purchase of 3D Tour. 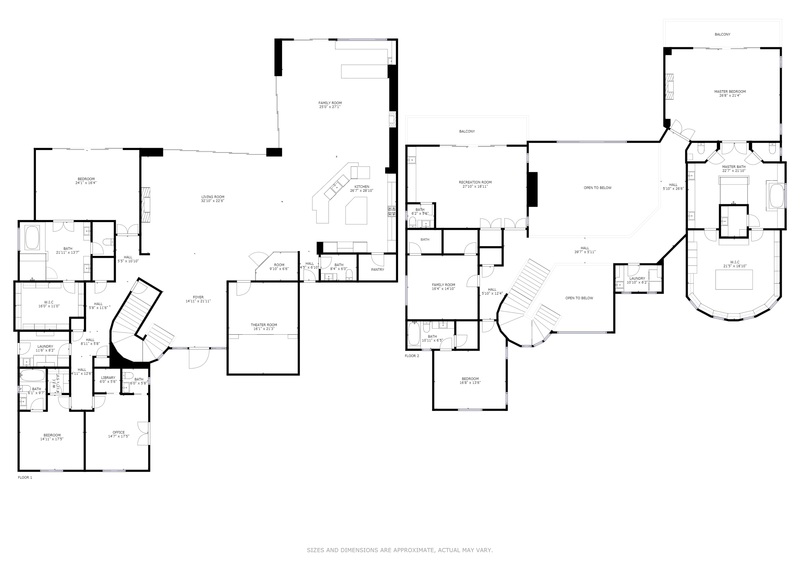 Entire home is scanned for the schematic floorplan of the interior space. Details throughout, editorial style compositions and unique angles. We capture exteriors of homes and interiors of condos during twilight. For those who need photos ASAP we have RUSH Turnaround as well. Regular turnaround after photos taken is 24-36 hrs. When you need color accurate photos lighting is a must. Ugly sky’s can be replaced with rich colorful sky’s for day and twilight. *All photography prices are based on usage for the term of the real estate listing. Photos can be used for mls, print & web. Photos cannot be resold, LHP owns full rights to all images.